This eye-catching, attention stealing ring is every bit as gorgeous as you might imagine it to be. There are so many captivating design elements to highlight, and we are sure going to touch on the most amazing ones. First off, this stunner features an illuminating 2.01 carat round brilliant cape natural diamond in the center. 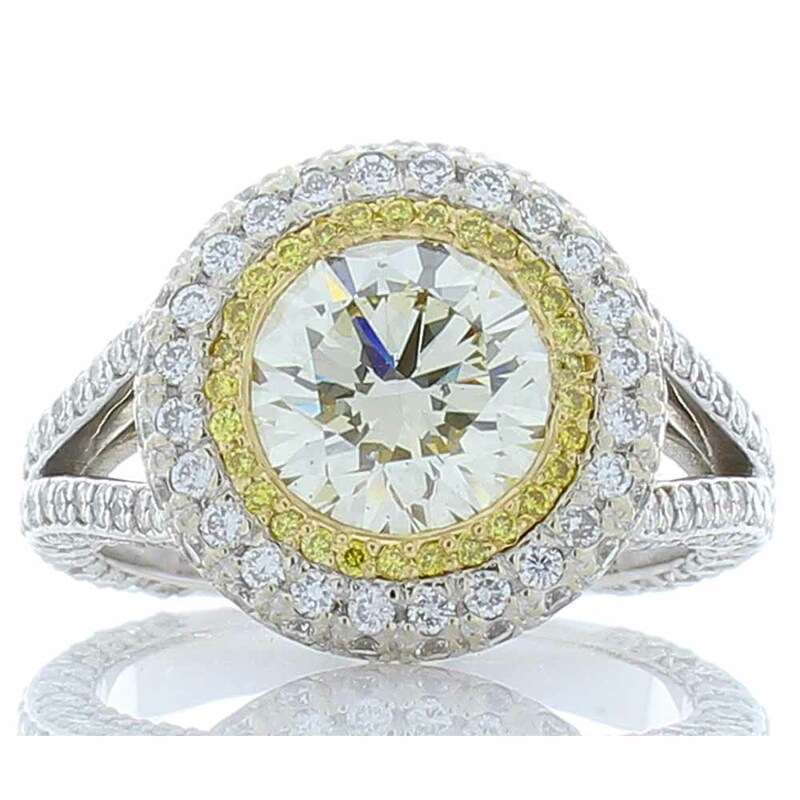 The center is beautifully accented by a dazzling natural fancy intense yellow diamond halo and to contrast that: a natural white diamond halo. The best secret of all - the bottom cup is entirely encrusted with natural fancy intense yellow diamonds! Fashioned of enduring 18 Karat yellow and white gold, this ring is absolutely stunning.